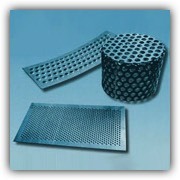 is your best choice for small to medium sized orders of perforated metals. We are located in Tamaqua, Pennsylvania approximately ninety minutes north of Philadelphia and two hours southwest of New York City. 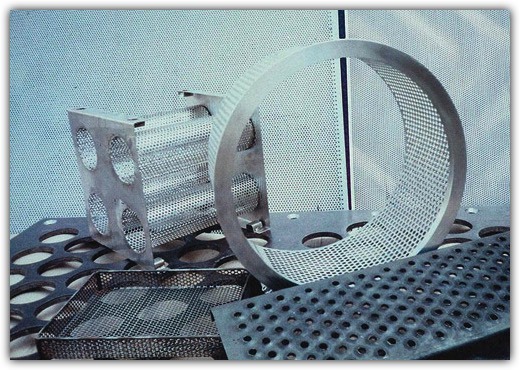 Precision equipment and increased speeds have made perforated metals, plastics and hardboard the most flexible and economical material available. 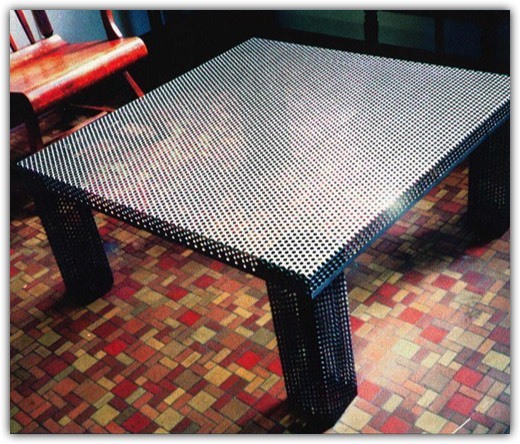 Perforated metal is both decorative and functional. The flexibility of design and the number of standard dies within the Association give the Designer, Engineer and Architect unlimited selection in material functionality and aesthetics. When considering an engineering or design change, or if our present material is costing you time and money in assembly, your I.P.A. perforator can help solve your problems. By consulting Remaly, you can be assured of a product engineered for a particular job or quality standard product manufactured by sound, practical and efficient companies whose years of experience is their symbol of quality and economy. We can also perforate plastic and hardboard sheets and panels. Standard Stock Size Sheets and Plates - Typical: 36" x 96", 36" x 120", 48" x 96", 48" x 120"
The width and length will be standard mill shearing plus any stretch of the material by perforating, unless otherwise specified. For carbon steel sheets or plates, tolerances as set by the American Iron and Steel Institute. For thickness lighter than 1/8" : ±1/32"
For thickness 1/8" to 3/16" incl. : ±1/16"
For thickness heavier than 3/16" to 1/2" incl. : ±1/8"
For thickness heavier than 3/16" to 1/2"- check with your perforator. If special re-square tolerances are required, consult your perforator. Coiled Stock - Please submit specifications. Remaly can perforate materials in light and heavy gauges. If you require closer tolerances than standard, check with Remaly. Whatever your requirement is, let Remaly be your guide and your guarantee of quality production. Steel - Use "Manufacturers' Standard Gage for Steel Sheets." Stainless Steel - Use the U.S. Standard Gage Table. Monel - Use the U.S. Standard Gage Table. 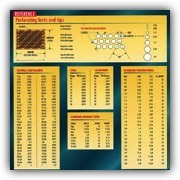 Copper, Brass or Muntz - Use the B&S Gage Table. 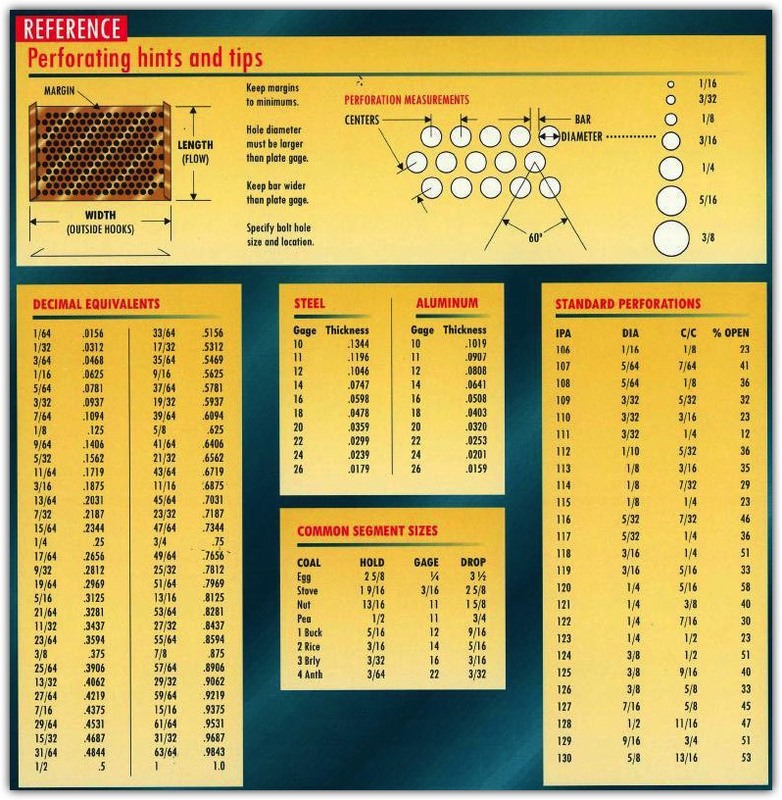 Aluminum - Use the B&S Gage Table. 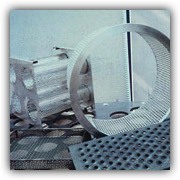 Round Perforations - Staggered (60 degree pattern) is standard. Variations include 45 degree staggered, and Straight Line Pattern. Square Perforations - Staggered Pattern or Straight Line Pattern. 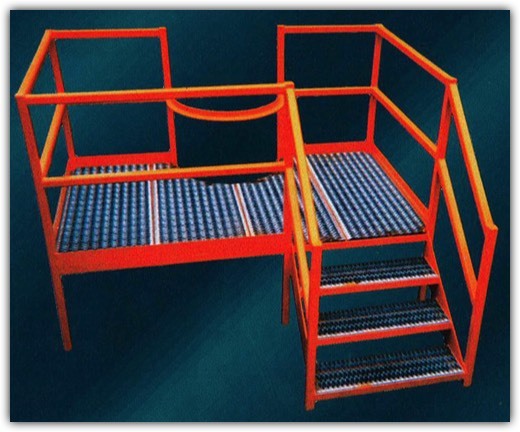 Slotted Perforations- Side Staggered, End Staggered, or Straight Lines. 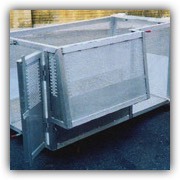 Slotted Perforations will be round end slots; specify if square end slots are required. Decorative patterns in Grecian, Cane, and Octagon Cane are common. 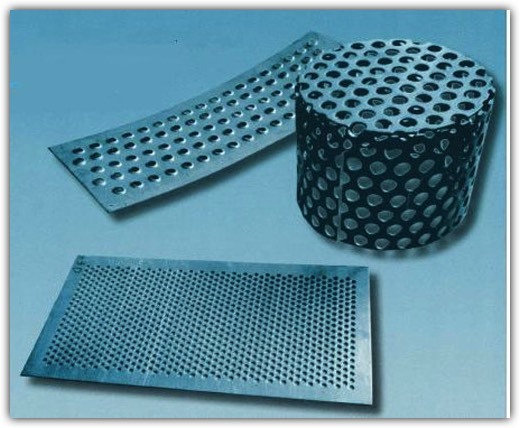 We can also create a combination pattern of various types of perforations based on customer request. 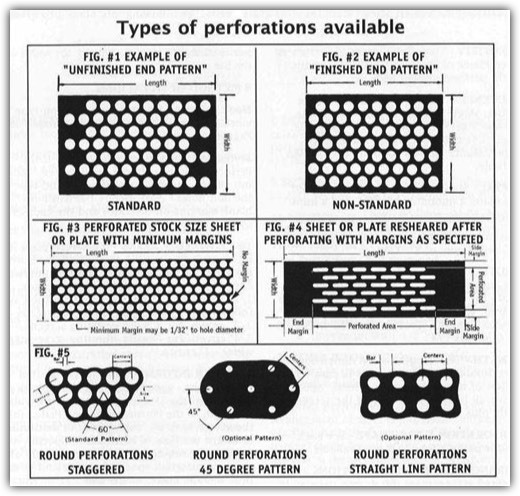 Perforation patterns can be staggered, straight line pattern perforations or 45 degree pattern perforations. Remember, perforated material can be purchased in stock sheet, special size sheets, panels, rolls, belts, cut to size, special slit coil completely fabricated and finished. Staggered Perforations, both Round and Square - Direction of the stagger will normally be the short dimension of the sheet, as illustrated. The straight row of holes is normally parallel to long dimension of sheet. Slotted Perforations - The long dimension of the slots can be furnished parallel with either the width or length of the sheet in most cases -check with your perforator. Spacing for large perforations will be designated by either Centers of Perforations, or by the Open Area required. 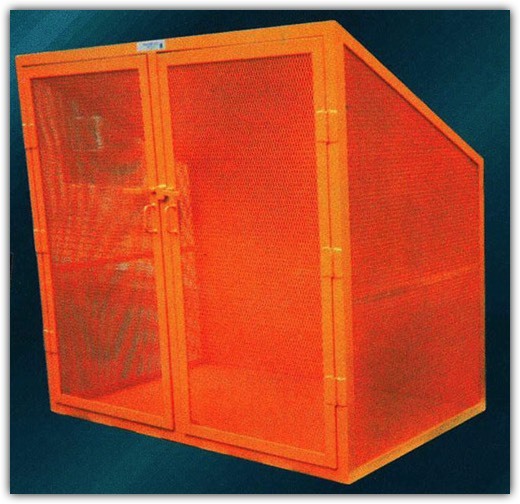 Spacing for small perforations will be designated by either Centers, or Open Area, or if more practical, by the Number of Perforations to the Square Inch. Sheets and plates Resheared after Perforating. Special margins are available to specifications but they must carry a tolerance within the limits of the perforating tool. Heavy gage metal in relation to the size of the perforation. Unless otherwise specified, hook flanges may be supplied for the above standards. 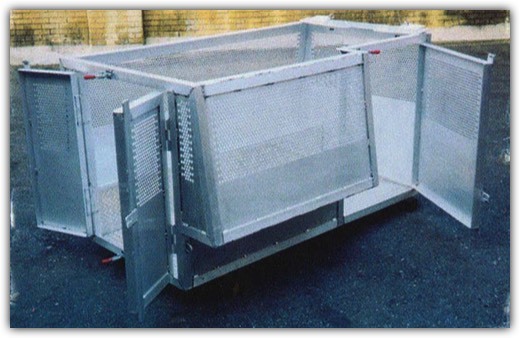 Perforated metal is easier and less expensive to form, weld, and fabricate. Borders of most any width on four, three, two or one side are available. 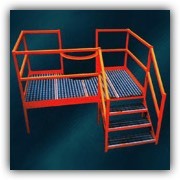 This reduces the cost of welding and reduces accidents in handling. No extra edging is necessary as in other materials. Our clients have come to expect that we will ship their orders completely and accurately within one week. 90% of orders filled are processed and shipped within 10 days. Remaly Manufacturing Company is located in Tamaqua, Pennsylvania near the junction of State Routes 309 and 209. We have been serving our customers from this location in the metal perforation and fabrication industry since 1865. While we also use common carrier freight handlers, for quick delivery our own trucks are within a short drive to Scranton, Easton, Lancaster or Bloomsburg. 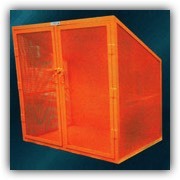 Remaly specializes in small to medium perforated panel and screen orders. However, we are capable of increasing our capacity to accommodate larger orders. Please contact us with any perforated material request. When the material is to be furnished by the customer, use the terminology "Perforating and Processing Only." All material so furnished must be of perforating quality. The flexibility of round, square, slot and other special perforations make it impractical to list every combination. The table below showing I.P.A. numbered perforations are common and are considered standard. For complete information on available patterns, contact your Remaly supplier. Ask about Specialty Patterns such as perfboard (1/4" holes on 1" straight centers), alternate feeds or spread centers. These offer different visual effects and serve to reduce open area. 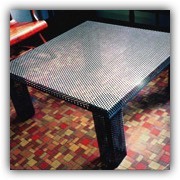 Various widths of bars (unperforated strips) may be left in the pattern to assist in mounting. Decorative patterns in Grecian, Cane, and Octagon Cane, are common. Some companies have developed their own particular decorative patterns and within the I.P.A. is the greatest variety of design in the industry. Functional patterns can also be decorative. Standard stock or standard dies are important to your planning. It should be clearly understood however, that any perforated design can become as economical as a listed pattern if the quantity or potential is great enough. 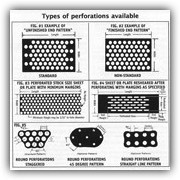 Please see our 'Reference Charts' to the right for more hints and tips for specifying and ordering perforated metals.